In 2015, Dr. Al Zeyoudi was awarded the first Gulf Cooperation Council Prize for Excellence in recognition of his pioneering efforts in renewable energy. He is a member of several committees, including the Emirates Green Development Council, as well as Audit and Selection Committees of Zayed Future Energy Prize. 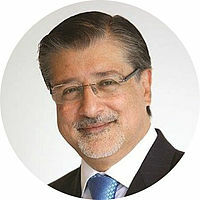 Adnan Z. Amin is the Director-General of the International Renewable Energy Agency (IRENA), currently serving his second term. He was elected as the Agency’s first Director-General in 2011. During his tenure, IRENA has grown to 151 Member States and has become the global authority on renewable energy. The agency today provides the world community with a strong international cooperation framework to accelerate the sustainable energy transformation, as a major pathway to fostering sustainable development and one of the most important solutions to climate change. Mr. Amin has over 25 years of experience in international environment and sustainable development policy. Mr. Amin has held senior positions in the United Nations (UN), including as Head of the UN System Chief Executives Board for Coordination Secretariat, Director of the New York Office of the United Nations Environment Programme (UNEP) and Executive Director of the Secretariat of the Secretary-General’s High-Level Panel on UN System-wide Coherence. Mr. Amin is a development economist specializing in sustainable development. He is a national of Kenya. Fatima Al-Foora Al Shamsi is the Assistant Undersecretary for Electricity and Future Energy in the United Arab Emirates Ministry of Energy with a rich background ranging from electrical engineering, renewables, Business Development and project management to different Managerial roles and in action she is member of the UAE Board of climate change& environment, and member of the board of directors of Emirate authority for standardization & metrology (ESMA), Head of the Emirates National Grid planning and operation committee. Member of board of Nawah. She succeeded to lead the team developing UAE energy strategy 2050 (in-house developed strategy), now leading the UAE water security strategy, also she is leading the power sector techno economic study in UAE ( which include the development of energy/power market, and all activity related to energy security & future of energy, energy and water productivity & DSM, electricity& energy market, and regulations & supervision of power sector in the Ministry of Energy. 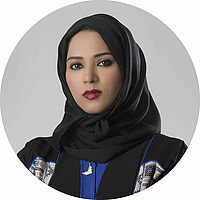 She graduated from the United Arab Emirates University with an honors degree of BS in electronics engineering. Add to that she holds an honors degree MBA in Financial Management. Mr. Upendra Tripathy, former Secretary to the Government of India in the Ministry of New and Renewable Energy, has made exceptional and outstanding contribution in ushering in the 175 GW target and policies that transformed India’s renewable energy sector between 2014 and 2016. In ex-officio capacity, he has headed Solar Energy Corporation of India (SECI), National Institute of Solar Energy and National Institute of Wind Energy, National Institute of Bio Energy, Association of Renewable Energy Agencies of States (AREAS) and International Solar Alliance (ISA). Mr. Tripathy galvanised both the Ministry of Renewable Energy and the Solar Energy Corporation through a plethora of new and imaginative policy measures. His institution building abilities and innovations got reflected in building of Hassan Kalamandir (1989), Center for infrastructure, Sustainable Transportation and Urban Planning (CiSTUP) in Indian Institute of Science (2009), Environmental Management Policy Research Institute (EMPRI) (2003), Akshar Foundation (2001), turnaround of Bangalore Metropolitan Transport Corporation (BMTC) (2003-2008) and institution of Nrupathunga Award in Karnataka (2008). For these achievements, and for all his work in transforming a city Transport undertaking in Bangalore into a profit making one, the Prime Minister of India bestowed the PM’s Award for Excellence in Public Administration of Mr. Tripathy in 2009. Other awards that recognise his abilities, excellence and innovative thinking, are – Extra-Ordinary Citizens’ Award from Rotary International-2008, Central Board of Irrigation and Power (CBIP) Award 2016 for outstanding contribution to India’s Renewable Energy Sector, 10th Enertia Life Time Achievement Award- 2016 and UBM 2016 as Crusader of the year for Renewable Energy. What helps Mr. Tripathy in being an outstanding administrator of great eminence is his 36 years of diverse experience in an across related sectors- land administration, rural development, agriculture, education, social inclusion, environment, petroleum and natural gas, and transportation. He has worked in federal, provincial sand local administrations in India. 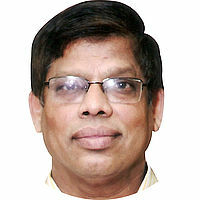 HE Mr Tripathy currently heads International Solar Alliance as Interim DG and can be at reached at utripathy@gmail.com and utripathy@isolarllaince.org.